Native Caskets by Summit Ridge Wood Design is an American leader in traditional, customized caskets and urns for native tribes and other tradition-minded communities. Our “Simple”, “Gentle Winds”, “Cowboy”, “Four Winds” design families are handcrafted in cedar, oak or pine and can be personalized with custom engraving and your choice of metal fixtures and Pendleton wool linings. Summit Ridge Wood Design is a Native American Family Owned and Operated business located in beautiful Rocky Mountains of Southwest Colorado. Our artisan workshop is just south of the town of Dolores, not far from the Navajo Nation and Ute Tribal Communities. The original focus of our artisan wood design work was commercial cabinetry and custom fixtures and furnishings for the home. We built our first custom handcrafted casket in 1997 and funeral products have been the heart of our business ever since. Among native tribes, there are cherished traditions to mark each of life’s major milestones including its end. When a loved one has passed, we celebrate that life and take time to appreciate their importance to their families and the community. For the person being honored, we create not just “a” casket, “their” casket—a creation that is unique to them and reflects their being. Across the country and all of its melting pot of cultures, there is a movement away from somber funerals to a more joyful “Celebration of Life”. This trend has broadened the appeal of personalized Summit Ridge Wood Design caskets to Latinos, Mormons, rural farmers, ranchers and others whose lives were shaped by the distinctive culture of the western United States. Over the years, our exceptional products have found their way across the Nation, Canada and Europe into funeral homes and tribes as well as directly to individual buyers. 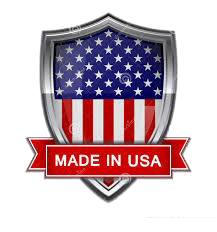 All of our products are proudly made in the USA. Our caskets are not Asian imported. All of our labor is performed onsite in Colorado. For the sake of both our customers and the integrity of our industry, we also place great importance on making sure that our customers are aware of the options, rights and consumer protections available to them.